The Maybelline FIT ME! range has created quite a buzz recently but sadly it's available in just 6 shades in India but the good thing is we have 3 shades for medium skin tone and 2 shades for duskier skin tone. Check out the swatches HERE. I picked up the foundation in the shade Natural Buff. Keep reading to know my thoughts. Get natural and flawless complexion from every angle with Fit Me!® Matte + Poreless liquid foundation. Skin that shows its fabulous best. Its 25% anti-shine perlite + micro blurring powders, make visible pores and shine disappear, getting you the perfect selfie-ready look. Matte finish foundation. Shade range covers a wide spectrum of skin shades. - Available for different skin tones. Packaging ~ Comes in a transparent glass bottle (prone to breakage) with a black plastic screw cap. It has a wide neck and doesn't come with a pump. Fragrance ~ The foundation has an alcohol like smell. 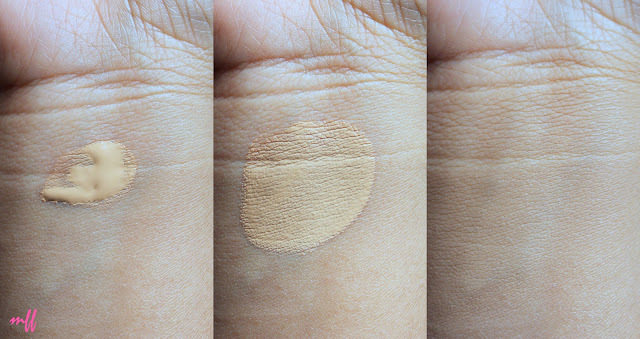 Coverage ~ It gives a medium coverage which is buildable. Staying Power ~ I had applied it at 11:30 in the morning, attended a function outdoor, went to my sister's place and was back by 6:30ish and the foundation was still in place. 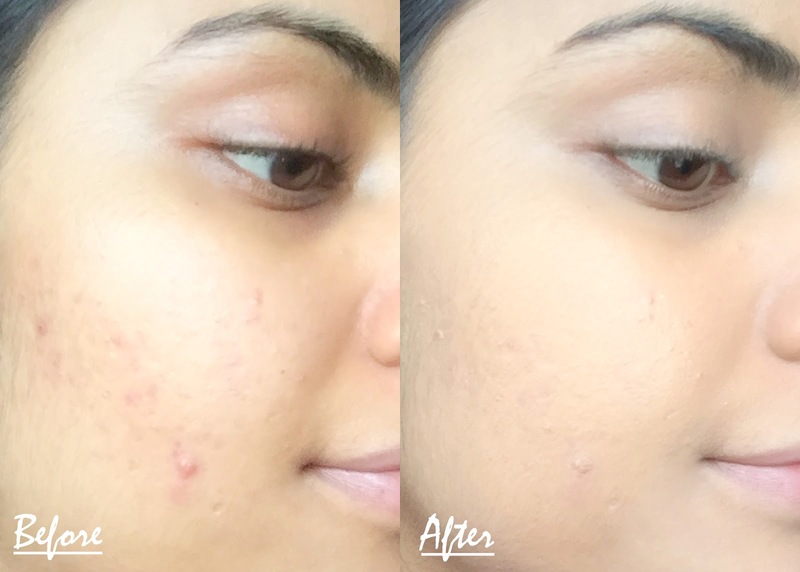 My Experience ~ Maybelline FIT me! Matte Poreless Foundation in the shade 230 Natural Buff is perfect for medium skin tone. It has a light peachy undertone. The foundation blends like a dream with my Sigma Flat Kabuki Brush.You can also use your fingers to blends it or a buffing brush/makeup sponge. It gives a dewy matte finish and medium, buildable coverage which I love. The foundation does not accentuate pores or dry patches. My skin is going through a rough phase lately and the Fit Me foundation covers redness and my acne scars well in just one, thin layer. Also, it covers the pigmentation around my eyes. Heavy dark circles or blemishes may need more coverage. The climate is quite cold so, my skin is shine-free for a longer time. The only problem is that, this particular shade looks a little bit dark/off on my skin, after the full makeup is done. Maybe because of the peachy undertone. - gives a dewy matte finish which I love. - does not accentuate pores or dry patches. - covers redness. pigmentation and acne scars well. - keeps my skin oil free. - Only 6 shades are available in India. - Doesn't come with a pump.